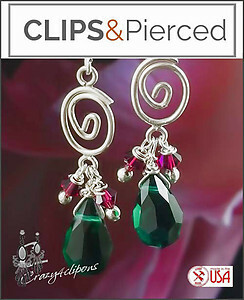 Features: These dangling clip on earrings have been for the Holidays. 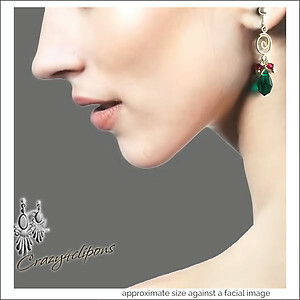 The details include: a lovely sparkling deep green crystal teardrop, complimented with Swarovski crystal. All hand wrapped and dangling from a fun swirly Sterling Silver component. A Beautiful gift to you or a loved one.